A short tutorial on how to save Monika. This is the only known way so far. This is a very short tutorial in saving Monika. This is also the only known way in saving her. Before doing this, backup your file. There is a slight chance you'll lose your progress or corrupt the game file. These will be the things you'll need in order to save Monika... and the Literature Club. Go to your Steam Games and right click Doki Doki Literature Club. After that, click Properties. Once you've clicked Properties, go to the Local Files section and click Browse Local Files. It will then open up your DDLC's file location. 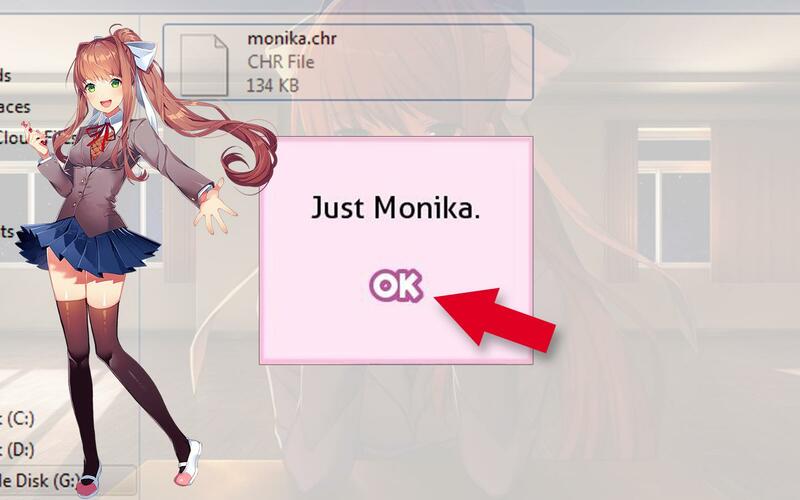 In the Characters folder, right click Monika.chr and press Copy. After this, locate your Flashdrive's folder (be sure that you've plugged in your USB). Just unplug the Flashdrive and... Congratulations! You're finally done. Now you can live your life with Monika. 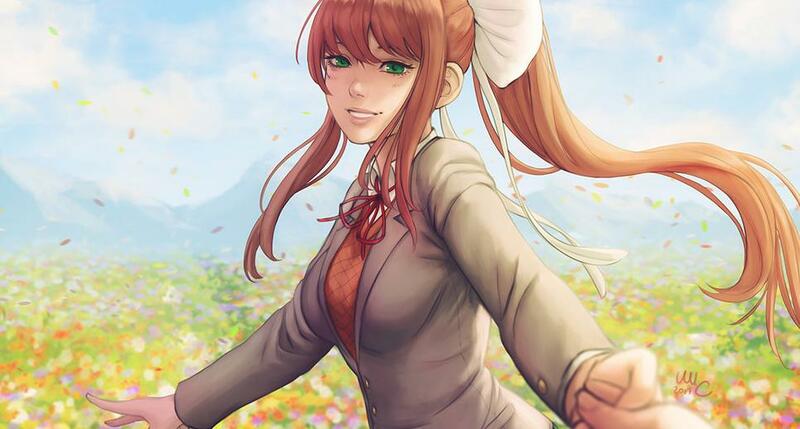 Bring her along on a date, make out, or even play DDLC together. The options are limitless, except for swimming... and baths... or anything water related.